Exclusive 12, 8, 5 or 3 Easy Payments ⚡ JBL PRX818XLFW Powered Subwoofer System only at AMS! Free 2 Day Shipping ⚡ Free Extended Warranty. Call our Gear Experts at 800-319-9043 for expert advice! 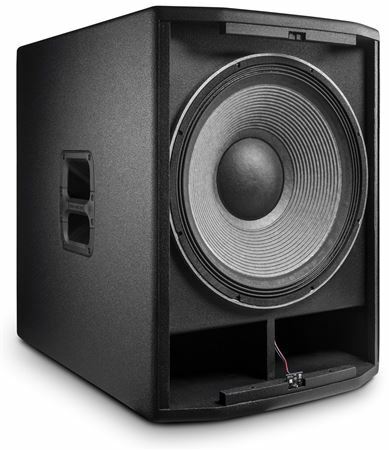 Delivering earthshaking bottom end for a true full-range sound, the JBL PRX818XLFW extends your system’s range to include the sub frequencies that are so vital for accurate live and recorded music reproduction. 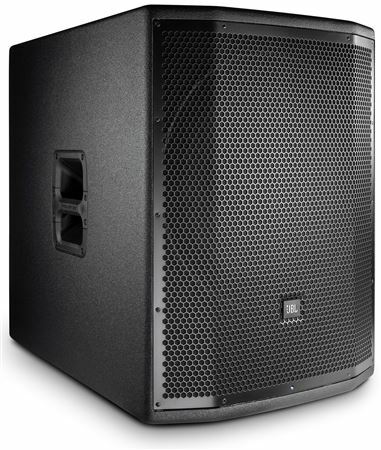 Lightweight and portable, the PRX818XLFW is the perfect solution for club or touring bands and sound companies while also remaining equally at home in houses of worship and other permanent installations. JBL engineers have spent hundreds and hundreds of work hours achieving maximized optimization among JBL components for greatest efficiency, ensuring the 800 Series’ place of honor in the JBL legacy. Wireless remote control of its onboard DSP EQ parameters via Wi-Fi. Control and configure your show from anywhere. 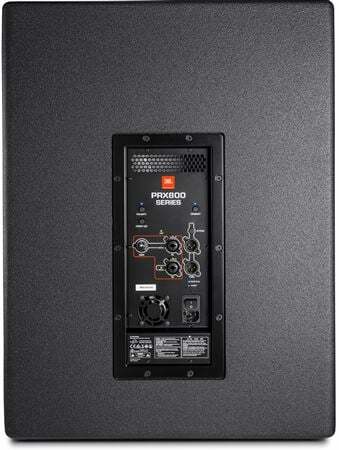 The PRX818XLFW comes loaded with a JBL 2278G 460 mm (18 in) woofer. Differential Drive® technology, JBL's exclusive dual voice coil, and dual magnetic gap design all serve to enhance performance and significantly reduces the drivers’ weight, thanks to an innovative rethinking of the basic elements of loudspeaker design. Eliminating the heavy surrounding steel structure of conventional drivers, the unique construction provides improved heat dissipation while nonlinear distortion is dramatically reduced due to magnetically saturated pole-pieces and an aluminum shorting ring. The glorious results are transparent tone, enhanced frequency response, and increased power output and SPL. Driven by a Class-D power amp pushing an impressive 1500 watts, the JBL PRX818XLFW is capable of emitting a Maximum SPL Output of 134 dB peak, with a Frequency Range spanning from 30 Hz - 103 Hz. This abundance of headroom provides enough thunderous bottom to fill the venue with pristine bottom end. The stackable enclosure is convenient (weighing 80 lbs. lightweight for a sub in this class), yet tough and durable. Constructed of 25 mm (top and bottom for added strength) and 18 mm (back and sides) poplar plywood and assembled utilizing tongue-and-groove joints, the PRX818XLFW is covered in JBL’s protective DuraFlex™ finish, while the components are safeguarded by a dent-resistant 16-gauge steel grille. Thoughtful appointments include lightweight, glass-filled nylon handles, M10 suspension points fabricated from 14-gauge steel (each with a yield-strength of 1000 lbs. ), and a pole receptacle capable of accepting SS4-BK or SS4-BK24. A single GAIN knob controls the input level with an ON/OFF switch for the front LED and a handy POLARITY switch just above it (with its corresponding LED.) There’s a combination 1/4” TRS - XLR input for each of the two channels, and both have an XLR direct THRU with a HI PASS switch and LED placed above them. Up top is the WI-FI CONNECT button (and LED) for WI-FI network configuration using the PRX Connect application. There is also an LED to let you know when the Limiter is engaged and a fan to keep the JBL PRX818XLFW running cool even when the music is hot. All PRX800 speakers integrate ioSYS technology to let you control your entire system with one app from just about anywhere in the venue. The convenient setup wizard allows for quick configuration and optimization of speaker levels and EQ. I am very impressed with the sound quality of my pair of subwoofers. Well worth the money. They compliment my JBL PRX825 tops. Deep tight bass. real simple these are dope! This compliments the rest of my PRX line. I love this 18” sub and specially with 1500W it’s solid well-made of course that’s expected from JBL the best of the best JBL for life! Great speaker,vibrates the ceilings. Fast delivery!! Top of the line. Well made. I’ve been using my JBL sub for 4 months now and I can truly say that I’ve enjoyed having it as part of my arsenal, I can’t began to tell you how may compliments I’ve received from some well respected DJs. In my area. I’m honestly thinking of buying another and thanks to AMS, it’s going to be sooner than I would have expected.